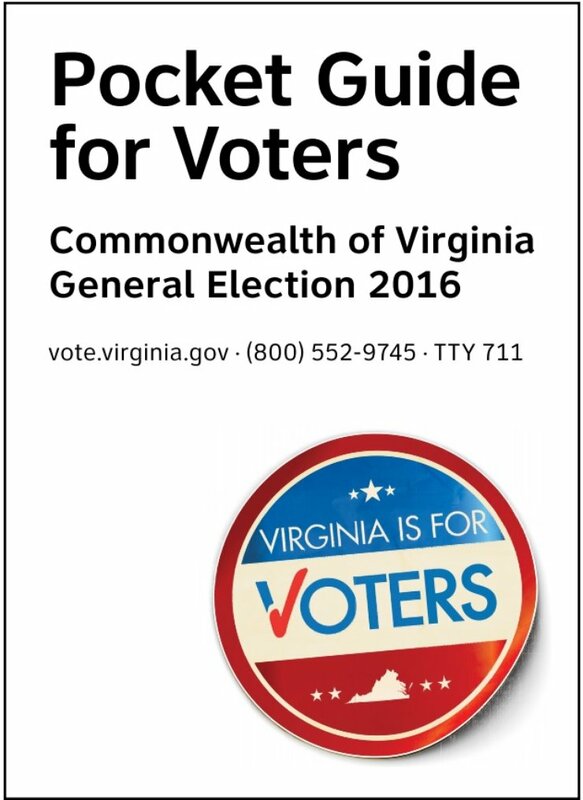 In 2016, the Virginia Department of Elections created a Pocket Guide for Voters that explains their rights on Election Day. The guide notes that voters with disabilities have a right to an accessible polling place and an assistant of their choice. Voters could print out the guide in advance and bring it with them to the polling place or use a mobile version.